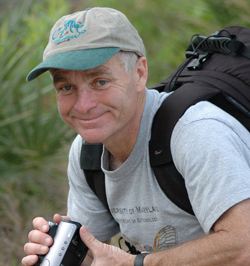 The Bug Guy is Michael J. Raupp, Ph.D., Professor of Entomology and Extension Specialist at The University of Maryland. The Bug Guy is Michael J. Raupp, Ph.D., Professor of Entomology and Extension Specialist at The University of Maryland. He has written Bug of the Week for over ten years, and is a frequent guest bug expert for Good Morning America, NPR, and other news outlets. He has appeared on BBC, CNN, National Geographic Ultimate Explorer, The Dr. Oz Show, Tyra Banks, and The Tonight Show with Jay Leno, among others. All photographs and videos on Bug of the Week are copyright Michael J. Raupp unless otherwise noted. Get Ready. The Invasive Species are Coming. Take a lyrical journey through the alphabet with Mantie! In this one-of-a-kind ABC, Mantie the Mantid introduces children to twenty-six of her colorful friends – who enjoy buzzing, crawling, flying, glowing, and eating creepy things for lunch! Distinguished entomologist Mike Raupp pairs charming verses with close-up color photographs of bugs from A to Z, and drawings by Jeff Kollins. For children five through eight. 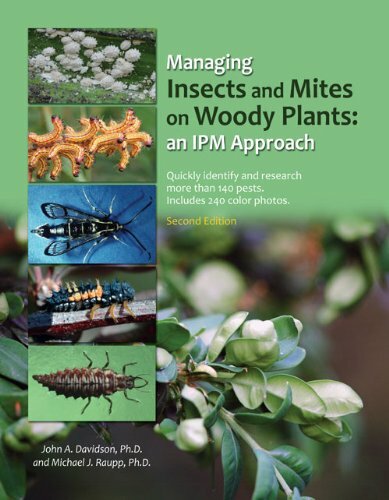 Managing Insects and Mites on Woody Plants: An IPM Approach by John A. Davidson, Ph.D., and Michael J. Raupp, Ph.D.
Includes 240 color photos! Wire-bound, 198 pgs.